Entertainment City Enschede is varied and convenient. Theatre, cabaret or music, a visit to the casino or catch a movie. 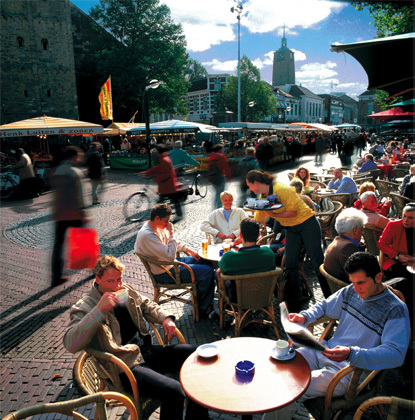 But just having a drink at an outdoor café at the Oude Markt in Enschede’s centre is an experience in itself. This square is surrounded by a wide variety of restaurants, bars and clubs. Entertainment City Enschede sparkles every day! Posted on September 18th, by Marlies in Enschede.